Mark Zuckerberg and Jeff Bezos have put legendary Warren Buffett in their rearview mirror. For the first time ever, Facebook (FB) and Amazon (AMZN) are now each worth more than Buffett's Berkshire Hathaway (BRKB). Amazon's market value has soared to $360 billion, surpassing Berkshire as the fifth-biggest U.S. company. Facebook, fueled by another dose of blockbuster earnings, is not far behind Amazon with a market valuation of $357 billion. Berkshire has dropped to seventh-place, with a market value of $356 billion. The conglomerate led by the legendary Buffett was also briefly surpassed by Facebook in January and Amazon in early July before rebounding. 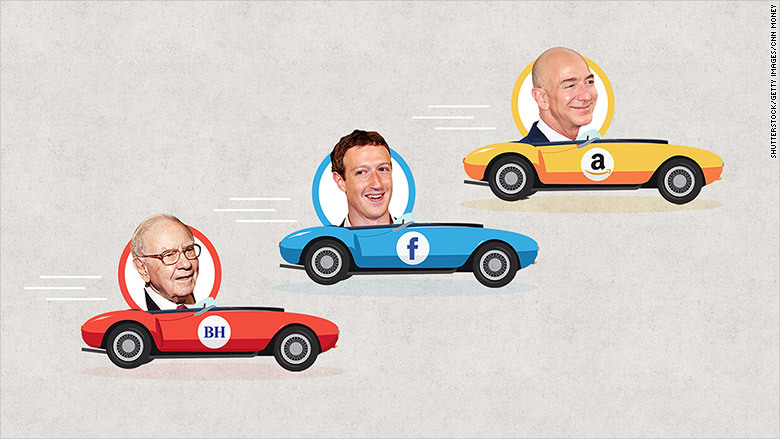 The milestones for Facebook and Amazon are symbolic of the rise of tech companies, whose pace of growth is much faster than the old-school brands Berkshire owns such as the railroad company Burlington Northern Santa Fe, ice cream outlet Dairy Queen, battery maker Duracell, or insurer Geico. By comparison, Facebook's rapid rise has given it an incredible 1.7 billion monthly users and the resources for exciting new projects like an internet drone. 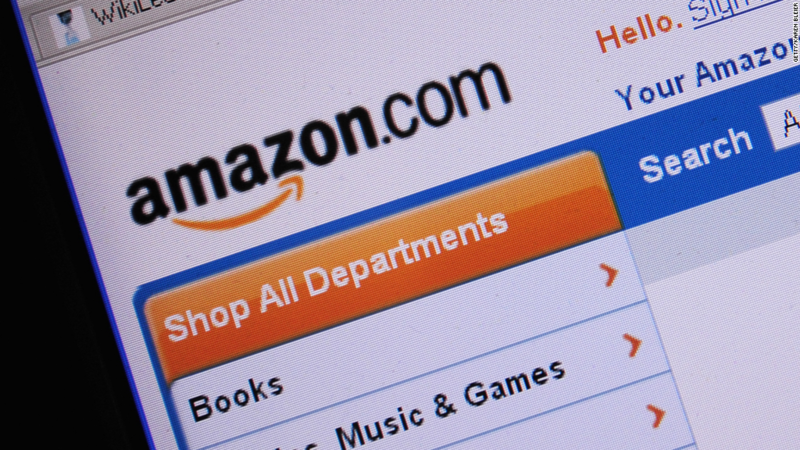 Amazon, long known for bleeding red ink, just revealed its fifth-straight quarter of profits amid the strength of its Prime Day and fast-growing cloud business. So which companies are now ahead of Facebook and Amazon in market value? They're both gaining serious ground on ExxonMobil (XOM), whose market cap shrunk to $366 billion on Friday due to a crash in profits. But Facebook and Amazon need to string together more stellar quarters before they can catch up to America's three most valued companies: Microsoft (MSFT) ($439 billion), Google owner Alphabet (GOOGL) ($519 billion) and Apple (AAPL) ($562 billion).